I’ve whipped up a few of these and am really happy with how they turned out! 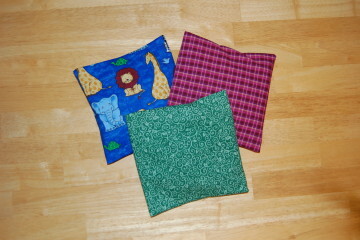 They are little rice-filled pouches wish washable covers. The whole thing (cover and all) can be kept in the freezer to be used as an ice pack, or if you prefer warm packs, you can microwave it on LOW in 15-second increments to get it to the temperature you need. 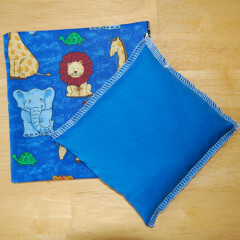 They are just 6.5″ square, which is perfect for little ones. And someone pointed out to me that they are a great size for putting inside a plastic sandwich bag for protection in case the boo-boo is bleeding (ouch!). They are available here.